Marius Johanna, Germany - bpw-leadershiplifelonglearnings Webseite! Intercultural Trainer, Member of the Board of BPW Germany. Johanna started out on the road to becoming an intercultural trainer with a translator/interpreter diploma. Originally from Munich, she lived in the USA, Italy and Western Samoa before finding her way back to Munich. She now owns an intercultural training institute and specializes in preparing her clients for working internationally and living abroad. 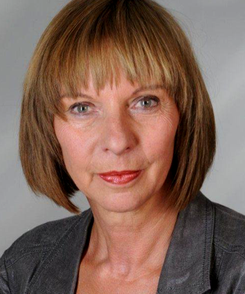 She serves on the board of BPW Germany where she is responsible for leadership and lifelong learning programs. In this capacity and based on her experience as a successful entrepreneur, she gives support to women who wish to develop their leadership skills.